Marley has partnered with Ocean Grown Extracts to cultivate medical marijuana for dispensaries on land that was once a State prison. 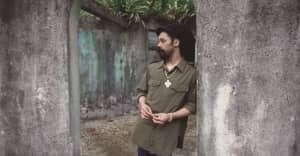 Damian Marley has partnered with Ocean Grown Extracts, a company that produces medical marijuana oils, to turn a former California State Prison into a cannabis farm that will supply state dispensaries, Billboard reports. The youngest Marley son purchased the Claremont Custody Center in Coalinga, CA for $4.1 million, alleviating the $3.3 million debt of the Central Valley town. The business move will also bring 100 new jobs to the region and is estimated to provide $1 million in annual tax revenues for the town of Coalinga. "Many people sacrificed so much for the herb over the years who got locked up," Marley told Billboard. "If this [venture] helps people and it's used for medicinal purposes and inspires people, it's a success." The facility plans to begin producing oil extracts in the next sixty days and will harvest its first crop in January. In November, Californians will vote on Proposition 64, which would legalize recreational use of marijuana for adults. "This was definitely something we were working towards for a long time, before I was even born," Marley said. "There was Peter Tosh's 'Legalize It' and songs like that -- this is something our culture has been working towards. I was optimistic that it would one day be legal -- and now it is here."